… What is this I see before me? 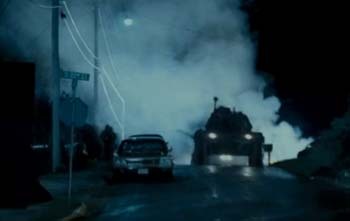 Can it be another Super 8 trailer? They seem to change the tone of the film with every new clip they release. Now, we’re moving out of E.T territory, and into ET meets Predator. Which impulse will win out, I wonder, in the final movie? Abrams’ terror-style, or Spielberg’s gentler inclinations? I guess that unless its director J.J. Abrams and producer Steven Spielberg feel like giving their old writer chum here a private advance showing, I’m going to have to get into a cinema queue with all the other civilians.